Tony Romo grew from the field as a quarterback to the screens as an American Football Analyst. He was a quarterback for the Dallas Cowboys in the richest football league in the world (NFL) before retiring. As a junior, he was honored as an All-Ohio Conference Member, an Ohio Valley Conference Player of the Year and also as an All-America Honorable Mission. Tony was the first player who became the winner of the Walter Payton Award while at Eastern Illinois and was the first football player in the history of Eastern Illinois to get his jersey (No.17) retired. The footballer has made quite an interesting record both as a footballer and an analyst. Before we break the ice, here is everything you should know about the footballer. Tony Romo was named Antonio Ramiro Romo at birth and was born on April 21, 1980, in San Diego, California. He was born as a navy brat as his father; Ramiro Romo served the United States of America as a Naval officer. His mom is Joan Jakubowski. The family later relocated to Burlington Wisconsin, not long after, his father left the navy to become a carpenter and a construction worker while his mom worked as a grocery store clerk after they relocated. Tony is a Mexican-American and a strong devoted Christain. He has two siblings who are both girls named Jossalyn Romo, and Danielle Romo. His educational pursuit started at Burlington High School from where he proceeded to get tertiary education at the Eastern Illinois University. 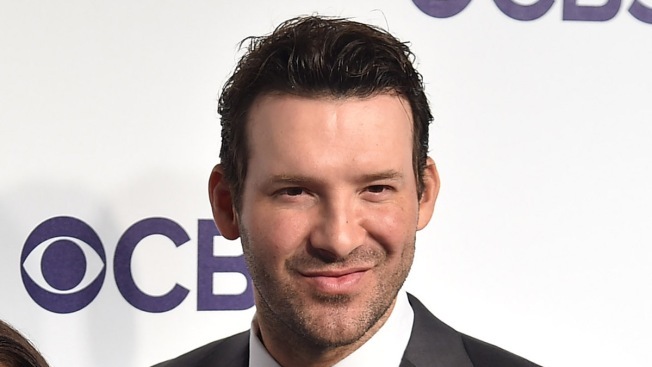 We wouldn’t be mistaken if we refer to Tony Romo as an all-rounder in the sports world as he plays perfectly in golf, baseball, basketball, football, and tennis. As a junior at Burlington High, he began his career as a quarterback and earned a lot of rewards and honors like the All-Racine County Football team and the Wisconsin Football Coaches Association All-State First Team Honors to mention a few. He also played as a starter in the school basketball team and equally participated in the school’s golf and tennis team. Tony finished from Burlington high in 1998 and enrolled at the Eastern Illinois University where he played as a team member for the NCAA Division I-AA Eastern Illinois Panthers football team. He ranked as the second in Division I-AA when he completed 164 out of 278 passes for 2,583 yards in addition to 27 touchdowns as a sophomore. Tony Romo finished third in Conference history attaining 8,212 passing yards and 584 completions in addition to 941 attempts. He did amazingly well and further signed a six-year contract worth $67.5 million with the Dallas Cowboy. He started his professional career in 2003 after he was signed as an undrafted free agent with the Dallas Cowboys and served as a holder for placekicks through 2004 until 2005. By 2006, in a game against New York Giants, he recorded 14 completions on 25 attempts for 227 yards with 2 touchdowns in addition to 3 interceptions. He started fully as a quarterback that year and led the Dallas Cowboys to a win of 35-14 in the game against the Carolina Panthers. When the Dallas Cowboys played against the Indianapolis Colts, they won the game with 21-14 which Tony led them to a victory with 19 out of 23 passes. He finished the season with 220 completions as of 337 pass attempts for 2,903 yards attaining 19 touchdowns and 13 interceptions and having a passer rate of 95.1. The footballer gained the seventh position in the NFC passing yards and touchdowns that season. He kept on recording impressive numbers until he called its quits playing professional football. Tony Romo announced his retirement from National football league 0n April 4, 2017. Upon his retirement, the Dallas Mavericks owner Mark Cuban rewarded his handwork and named him a Maverick for a Day in Mavericks final game for the 2016-17 season. In the later days of his retirement, he was employed by CBS Sports to work as the lead color analyst for NFL telecasts. Tony also worked as the co-host of Inside the Huddle Broadcast on KLLI radio station in Dallas. While with the Cowboys, his six-year contract was worth $108 million which would have lasted till 2019 if not for his retirement. Records have it that in 2017, his salary cap was estimated to be $24.7 million. Tony’s career earnings were later calculated to be $127,420,00 and his career APY was also estimated to be $9,101,429. In all of this, the former cowboy is estimated to be worth $70 million and currently earn an annual salary of $15 million. Tony’s first publicized girlfriend was Jessica Simpson who is an American actress. The two started seeing each other in 2007 but however, broke it up on July 9, 2009, a night before her birthday. He later found love with Candice Crawford who he met sometime in 2009. They started dating and after a year of a blossoming relationship, he engaged her on December 6, 2010. Their engagement was barely six months when they decided to take their vows on May 28, 2011. Candice was one time Miss Missouri USA and a former journalist at Dallas TV station KDAF. Their union is blessed with three beautiful boys; Hawkins Crawford Romo born April 9, 2012, followed by Rivers Romo born on March 18, 2014, and Jones McCoy Romo on August 23, 2017. See Also: Anderson Cooper Bio, Net Worth, Mom, Is He Gay, Who is The Boyfriend or Husband? Tony Romo has an athletic body build and also possesses a muscular body frame. He stands at 6 feet 2 inches which is perfect for any good-looking man. He has a balanced weight of 104kg having brown hairs and a set of black eyes. His body measurements are not yet available but we would update them as soon as we can.